Dr. KUO, Ho-Chang Kuo, graduated from National Yang-Ming University, Taiwan with a M.D. degree in 1999 and PhD degree from Graduate Institute of Clinical Medical Science at Chang Gung University, Taiwan in 2011. Dr. Kuo worked as an attending pediatrician, physician scientist and associate Professor at Kaohsiung Chang Gung Memorial Hospital and Chang Gung University, Taiwan. Now, he is also the Direct of “Kawasaki Disease Center” of Kaohsiung Chang Gung Memorial Hospital, Taiwan. His research interest mainly focus on Kawasaki disease. He had published more than 110 peer-reviewed SCI journal papers including 2 Nature Genetics (2011 and 2012), 1 Circulation Research, 1 Arthritis and Rheumatology, 2 Allergy and 65 Kawasaki disease papers. 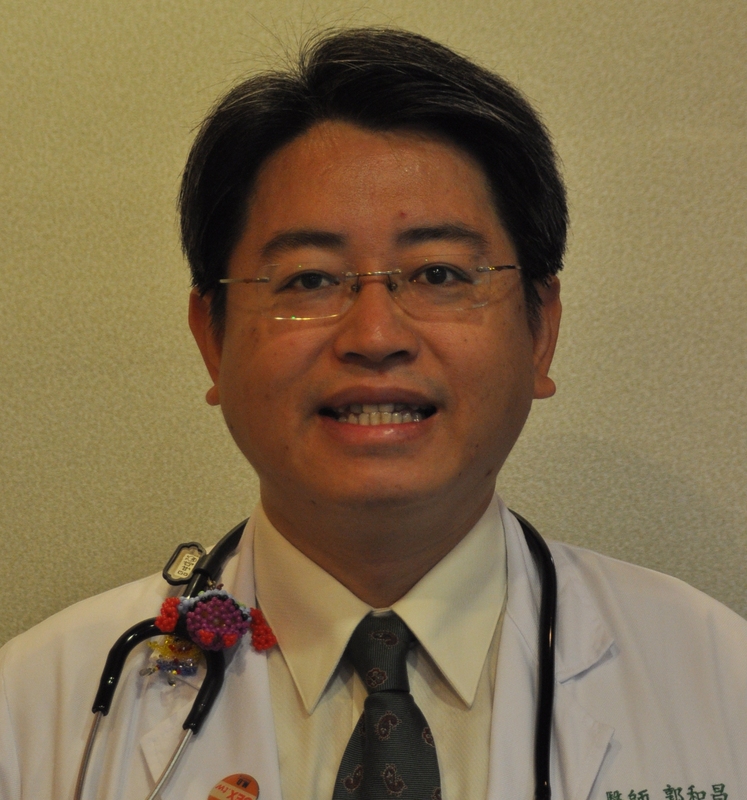 He has ranked as 1st Top Expert of Kawasaki disease in Asia by Expertscape.com. His research interest mainly focus on Kawasaki disease. 1. Chih-Lu Wang, Yu-Tsun Wu, Chieh-An Liu, Ho-Chang Kuo, Kuender D. Yang. Kawasaki disease: infection, immunity and genetics. Pediatr Infect Dis J. 2005;24:998-1004. (SCI). 2. Hong-Ren Yu, Rong-Fu Chen, Kuo-Ching Hong, Chin-Nam Bong, Wen-I Lee, Ho-Chang Kuo, Kuender D. Yang. IL-12-independent Th1 polarization in human mononuclear cells infected with varicella-zoster virus. Eur J Immunol. 2005;35:3664-3672. (SCI). 3. Ho-Chang Kuo, Yu-Tsun Wu, Kuender D. Yang, Chih-Lu Wang. New concepts and treatment strategy in Kawasaki disease. Acta Paediatr Taiwan. 2006;47(suppl):7-17. 4. Ho-Chang Kuo, Jiunn-Ming Sheen, Kuan-Sheng Wu, Hsiu-Hui Wei, Chih-Cheng Hsiao. Precocious puberty due to human chorionic gonadotropin-secreting pineal tumor. Chang Gung Med J. 2006;29:198-202. 5. Ho-Chang Kuo, Kuender D. Yang, Chi-Di Liang, Chin-Nam Bong, Hong-Ren Yu, Lin Wang, Chih-Lu Wang. The relationship of eosinophilia to intavenous immunoglobulin treatment failure in Kawasaki disease. Pediatr Allergy Immunol. 2007;18:354-359. (SCI IF: 2.723). 8. Lin Wang, Rong-Fu Chen, Jien-Wei Liu, Hong-Ren Yu, Ho-Chang Kuo, Kuender D. Yang. Implications of dynamic changes among TNF, membrane TNF receptor and soluble TNF receptor levels in the severity of Dengue infection. Am J Trop Med Hyg. 2007;77:297-302. (SCI>2.0). 9. Kuender D. Yang, Chia-Yo Ou, Tei-Yao Hsu, Jen-Chia Chang, Hau Chuang, Chia-An Liu, Hshu-Mei Liang, Ho-Chang Kuo, Ron-Fu Chen and En-Yen Huang. Interaction of maternal atopy, CTLA-4 gene polymorphism and gender on antenatal IgE production. Clin Exp Allergy. 2007;37:680-687. (SCI IF: 4.08). 10. Ho-Chang Kuo, Chih-Lu Wang, Lin Wang, Hong-Ren Yu, Kuender D. Yang. Patient characteristics and intravenous immunoglobulin product may affect eosinophils in Kawasaki disease. Pediatr Allergy Immunol. 2008;19:184-185. (SCI IF: 3.376, ranking 9/121 in Pediatrics). 13. Ho-Chang Kuo, Chih-Lu Wang, Chi-Di Liang, Chien-Fu Huang, Hong-Ren Yu, Lin Wang, Kao-Pin Hwang, Kuender D. Yang. The association of lower Eosinophil-related T Helper 2 (Th2) Cytokines with the Coronary Artery Lesions in Kawasaki disease. Pediatr Allergy Immunol 2009;20:266-272. (SCI IF: 3.376, ranking 9/121 in Pediatrics). 14. Hong-Ren Yu, Ho-Chang Kuo, Jiunn-Ming Sheen, Lin Wang, I-Chun Lin, Chih-Lu Wang, Kuender D. Yang. A unique plasma proteomic profiling with imbalanced fibrinogen cascade in patients with Kawasaki disease. Pediatr Allergy Immunol. 2009;20:699-707. (SCI IF: 3.376, ranking 9/121 in Pediatrics). 15. Chi-Di Liang, Ho-Chang Kuo, Kuender D. Yang, Chih-Lu Wang, Sheung-Fat Ko . Acquired Coronary Artery Fistula Complicated by Kawasaki disease. American Heart Journal. 2009;157:584-588. (SCI IF:4.497, ranking 23/122 in CARDIAC & CARDIOVASCULAR SYSTEMS).